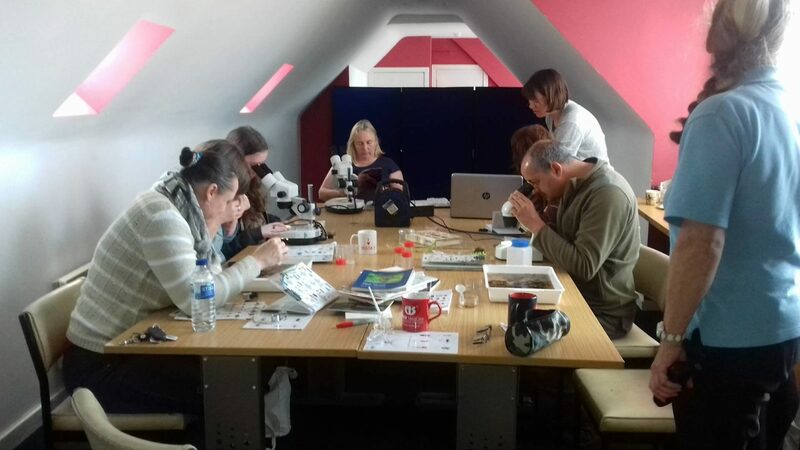 Where’s Wildlife in Ayrshire and the East Ayrshire Coalfield Environment Initiative joined forces for an afternoon of investigating and identifying bog wildlife collected from a bog in East Ayrshire. Samples were collected in the morning from Low Moss near Lugar, a site adjacent to a former open cast mine, and an area which had been drained for grazing. Recent peatland enhancement of this bog has resulted in creating wetter conditions which has benefited a range of species. We wanted to find out what was making the bog its home by collecting some samples and using ID guides and some expert knowledge to help us identify what we had found. Aquatic samples were collected from bog pools, and terrestrial species by sweep netting. Samples were then brought back to the office for identification. 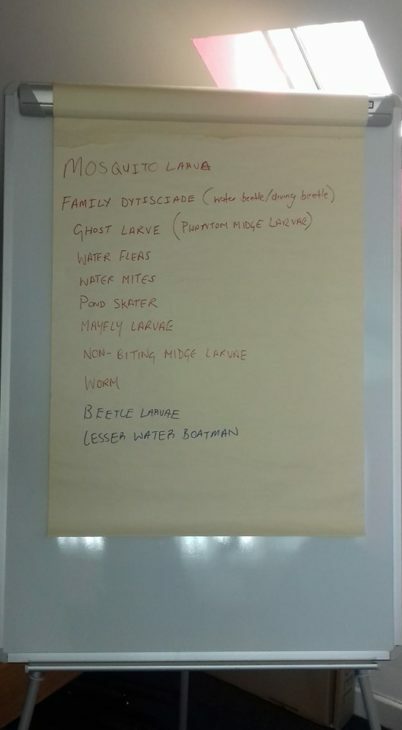 The bog was teaming with invertebrate life, such as water beetles and larvae, as well as spiders and ground beetles. It is promising to see such species diversity from only a small section of bog that was sampled. Evidence has already shown that the restoration work that took place early in 2017 has resulted in the return of the curlew and skylark to breed on the site. 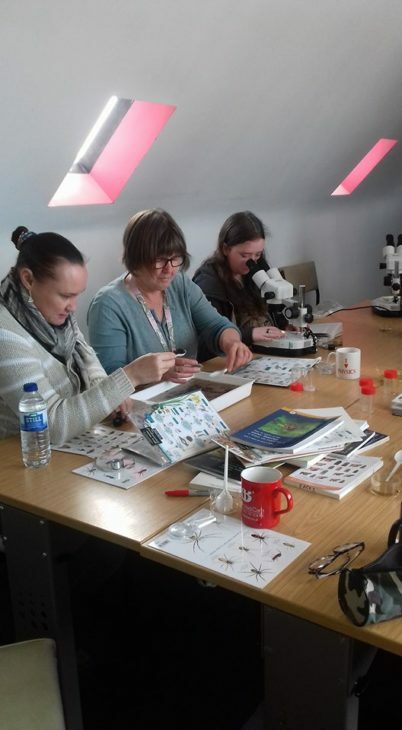 This fun and informal session gave us an insight to just a small fraction of the biodiveristy on Low moss. Thank you to everyone that attended, and for more information on bogs in east Ayrshire, take a look at the CEI website.